Magnificant landscapes with every possible amenity. Open and bright with great space. Plenty of room for guests. Finished basement for fun activities. Two acres of property with a pretty pool surrounded by decking plus a full size tennis court. This is a 3700 sq. foot home with 5 bedrooms, 5.5 bathrooms plus 2 additional bedrooms and full bathroom in our finished basement. There are 2 master suites. One master suite features private zen garden with koi pond. The basement is a great place for kids to hangout with pool table and bubble hockey game. This house is set back off the street with great privacy. Have fun in our pool and full-size hard-tru tennis court. the house if fully equipped with wifi, separate media room and surround sound througout the house and outside. 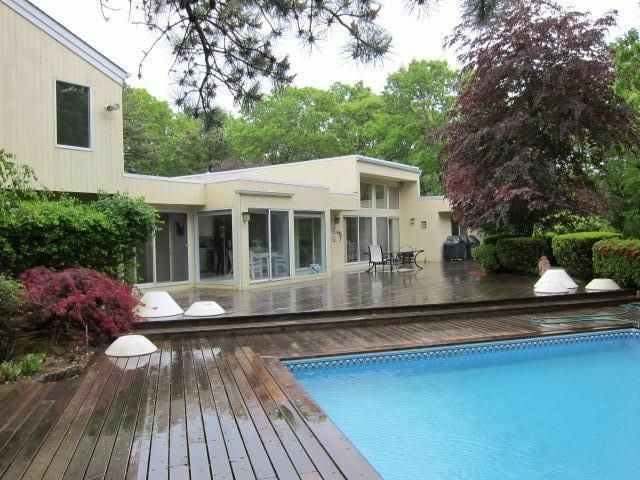 Just 3 miles from Westhampton beaches and town. We are seeking either mature professional families or couples. During the summer season the minimum rental stay is 1 week. The set up is perfect for our family to have private space and still wonderful room to be together too. We especially LOVED the pool and the privacy of the property. The trees and ample yard create a tranquil setting for the perfect vacation. We can’t wait to rent it again next year!